If your are looking for installing window 8 to your personal computer then you should know, you can also install it through USB device , there can be many reason to installed it via USB like i have my own in my laptop CD/DVD drive not working properly , if you have the same reason then you can opt this option , the other big reason to installed windows 8 via USB is Window 8 files copy to your PC much faster as compare to the CD/DVD drive.The only thing people worry most that Window 8 doesn’t have start button as in window 7 , but you can also have start button on window 8 too so this is not big thing to worry if you are looking to installing window 8. So what thing we are required to make a Bootable window 8 USB device . 1.) USB device minimum 4GB . 2.) Window 8 ISO image. Including above two things , you are required a free software that will make bootable window 8 USB device ,there are two free software available in market that create bootable window 8 USB device, so lets take a look at easiest one. 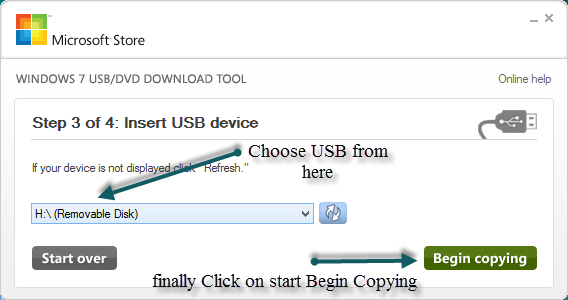 This software is open source project , best one to create window 8 USB device .To download this tool please click below link. 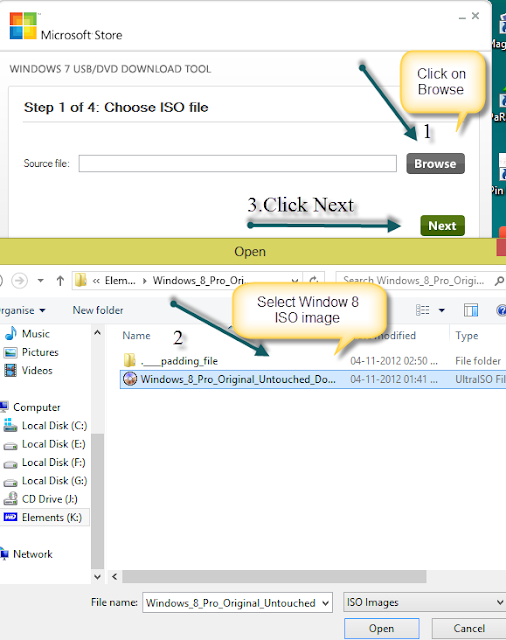 After Downloading it installed this software , and after that open it and click on browse and choose your window 8 ISO image .See below pic. 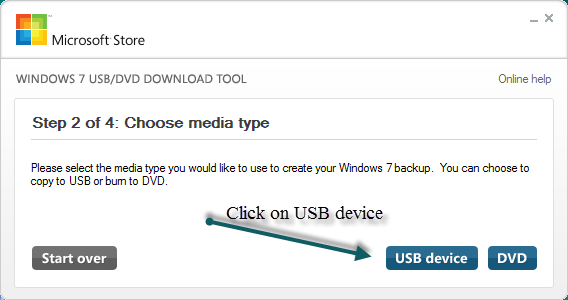 After choosing the Window 8 ISO image , choose your method that either you want bootable window 8 USB device or DVD in our case we want USB device so click on USB device , see below pic. So now take a look at our other software that do the same thing but what make it differ from the above software is that provide more functionality then above so that make it little bit complicated for newbie.You can download this software from the below link. After making successfully Window 8 USB device , than restart your PC and start installing from USB , if you will not able to boot from USB then change the BIOS setting’s .You can also look at my other post on list of various window 8 shortcuts . I hope you like my this post and please do comment if have any query and don’t forget to like and subscribe to my blog.